You might think that you need to be a millionaire or an international property developer to invest in luxury real estate. Well, you would be wrong. Before we go any further, this article is not pitching a get rich quick scheme. Instead, it will outline some simple strategies that the average person on the street can invest in real estate. Keep in mind, these strategies might not be for everyone and if you have a hard time controlling your finances then the you might want to read this article on how to simplify your home budget. Now that we have that out of the way, let me explain why you might want to consider investing in luxury real estate. For starters, it is a hard asset and one that is usually well-positioned to withstand an economic reversal. Second, the legion of the world’s richest is continually growing. I know it might not feel that way when you drop your kids off at school but you never know which one of those parents is a successful business person or investor. That being said, there are five important things that you need to know about investing in something like luxury condos. Ok, maybe a sixth, as a small piece of advice is that just not all luxury properties cost $1 million. In fact, many properties are considered ‘luxury’ due to their location or some other characteristic which helps it to stand out from the crowd. Now, this approach does require some work – both research potential properties and to get them ready for resale. But you want to know a secret, even ‘rich’ people run into problems with money every now and then. When that happens, many will choose what is known as a strategic default and this opens the opportunity to buy what would normally be an expensive property on the cheap. However, there is a lot of skill to this approach and if you are considering getting into the flipping game, then you will want to take some time to study the market and to build up your contacts. 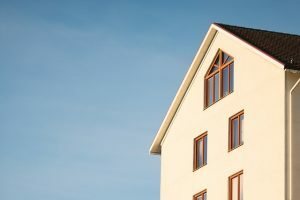 This could include connections in the property tax office, local banks, and even with the contractors who will help you to get a market ready for resale. In addition, you should be willing to do much of the dirty work yourself as this will reduce how much money you will need to invest in a property – leading to more profit for you. For starters, condos are smaller than homes, so if you find the right property it will probably cost to prep for resale than a home. Also, these condos tend to be in well-managed buildings in prime locations and this will and tens of thousands to the sale price. Another item to consider is that these buildings generally tend to have many services for their tenants including gyms, restaurants, even a dry cleaner all on site. A final thought about condos, all the work will be inside. This means you don’t need to worry about expensive roofing projects or landscape gardening. Not only does this reduce the time needed to prep a property but it also means that it is easier for you to scope out the work that will need to be done. Let me explain. We live in a global world and there is no law that you can only invest in luxury properties in your hometown or even your own country. In fact, investment in an exotic location might have a lower upfront cost than anything you can find closer to home. There are several things that you will need to consider. First, is whether the country you have targeted allows foreign property investment. You see some emerging markets restrict the right of foreigners to own property. As such, you don’t want to make the mistake of investing in a country where you will need a dodgy, and complicated, legal structure own a property. The second thing that you will need to consider is how you can find, and repair, the property you have in mind. Fortunately, the internet can help with targeting but construction being what it is, you will need to find a way to be on site during the renovation phase. If not, the costs will sky rocket and your project will never be completed. Maybe you have a friend who is already investing in real estate, or maybe it is known developer with a track record of success. Either way, there are plenty of ways to invest in real estate without owning the entire property, and I am not talking about timeshares either. ‘Luxury’ has less to do with the property’s cost and more to do with the amenities and the location. As such, you can look for opportunities to buy and upgrade a property. Who knows you might be able to sell it or you could let it out on Airbnb or similar sites. So you want to be a day trader. Honestly, there is no better way to become your own boss and gain financial freedom. If you have the desire, dedication and discipline the sky is the limit for your profits. But how do you get started? Get into a free chat room. When you spend time in a free chat room, you can start to understand how to get better at day trading right away. You will learn new lingo, make new friends and watch veteran traders in action. That is, you can can see them call out positions and work their way towards good and bad trades and see their reports after all the trades go down. A free chat room can be an excellent intro into day trading education. Spending time in one will hip you to a very important lesson: There are only a few stocks worth trading on any given trading day. It is very hard to find those stocks. Many big trading firms use big, expensive propriatry software systems to trade. Those powerful algorithms make it hard to beat them. So the key is to try not to beat them. The key is finding another way. Finding a needle in a haystack by diving around and nosing around is not advisable. So you need the right strategies to see the potential needles. Spending time learning from other day traders is a great way to start to get those techniques down. But not all free chat rooms are created equal. You want to find one where an accomplished trader is livestreaming the desktop and talking through real-time trades. That is a great way to learn. Day trading is unpredictable, so it helps to be able to see people do it in real time. Having a portion of the chat room screen dedicated to streaming news, stocks to watch and trade alerts is a great feature as well. It allows you to maximize monitor space. Actionable breaking news headlines are very important in a chat room as well. If a chat room is not providing you will news nuggets that help you make trades, it is not worth your time to be in there. Breaking news is a very big part of taking advantage of the fluctuations in the day trading market. Then you need to make sure there is a discussion space where you can ask questions and interact with other traders. That is the only way to get better and learn. You need to be able to converse with other traders and get plenty of information out of them. Spending time in a free chat room is a perfect way to determine if you like trading in that particular community. As with any industry, it helps to find your tribe. The quality of your days is determined by the people that you hang out with. It makes sense to test out these groups before you commit time to working within them. While the housing market is still not fully out of the red, there has been some positives in 2016. For one, millennials are finally starting to enter the market, which is a generation that some experts were concerned would never purchase homes, according to this Forbes article by real estate writer, Samantha Sharf. Sharf also noted that mortgage rates remained historically low in 2016. And although cities are still facing affordability issues, despite the increase of wages, homes are appreciating in value due to the decrease in demand to build new homes. In short, things seem to be looking up, even if it is at a slow pace. You may not realize it, but the simplest of tweaks can add a world of difference. It is often advised to pull out any weeds from between the sidewalk path leading to your home, tighten screws on any shutters to make sure they aren’t crooked or appear as though they may fall over, and the like. These fine details may be an effective (and simple) starting place. Before planting anything new, make sure you have healthy soil or see where your current shrubbery could use improvements. Trim up overgrown bushes, clean up dead leaves, get rid of weeds in the grass and along the house, and so on. Quora user and real estate agent Andrey Sokurec recommends getting a spray tank and bottle of weed killer (available for roughly $42 total) and treating your yard with granulated fertilizer to make it greener longer. Other landscaping tips to consider are to purchase colorful flowers for a nice pop if your exterior lacks color. You can incorporate shadow boxes below windows or on your porch railings, which will save money on mulch to line your house with flowers. Additionally, if you have space, you can look into planting trees on each side to frame your entry way. But, planter beware: Make sure to look into how large the trees will get first to avoid your home, particularly your front door, becoming hidden by them. Alternatively, you can use large potted plants to use at your doorway. It’s amazing what a coat of paint can do, and this holds true for adding curb appeal. Painting your entire exterior will be costly, but you can simply paint your door, the trim, or shutters to provide the house with an updated look without breaking the bank. Keep your house looking nice on the outside by making sure toys are kept out of the yard, patio furniture isn’t damaged or looking decrepit, and the sidewalk and porch are swept. You should also try to power wash the outside of your home, especially if it is built with siding, to help give it a fresh face. Other than the cost of time, this will be essentially free to do. Take pictures. Interior designer Adrienne Kushner advises taking pictures of the exterior, including the sides and back of the house. This can help you see things you might otherwise miss. These photos can also assist in choosing shrubbery and colors that are right for your home. Pick the right flowers and plants. Don’t plant anything without doing a little research on the type of plant and whether it will be a good fit for your environment and location. For example, flowers often need a lot of sunlight, and if your home is shadowed by surrounding trees, your flowers of choice may not be able to survive. It may also be more cost-effective to choose flowers that bloom annually rather than only live one season. Choose colors that complement not take away from your home. With the pictures you take of your home, you may want to bring those with you to a local paint shop or home improvement store to see if they have any input on color choices for you. Let them know what style you’re going for, and they will likely provide you with some really helpful information, especially since they want you to buy paint from them. Keep it simple. Don’t go overboard with shrubs and plants; simple is best to avoid a cluttered look. Need some inspiration? HelpMeBuild.com has some great suggestions here. Have a budget in mind. Before you start any project, create a budget so that you do not go overboard and unnecessarily waste or spend money. If applicable, talk with your spouse first so that you are on the same page with spending. 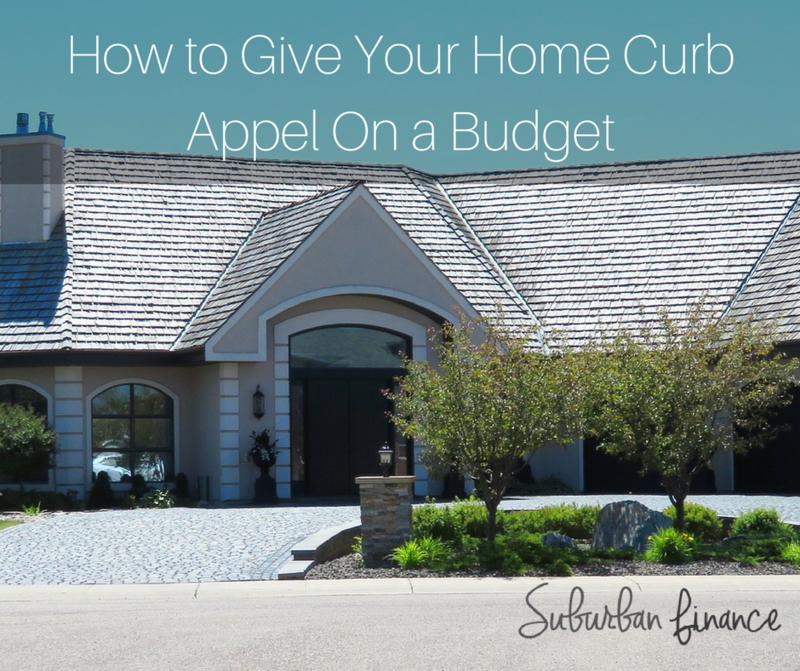 What tips would you add on how to give your home curb appeal on a budget?